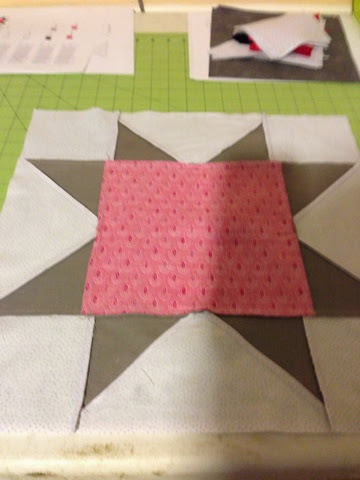 Quilts with stars! Stars Oh My! 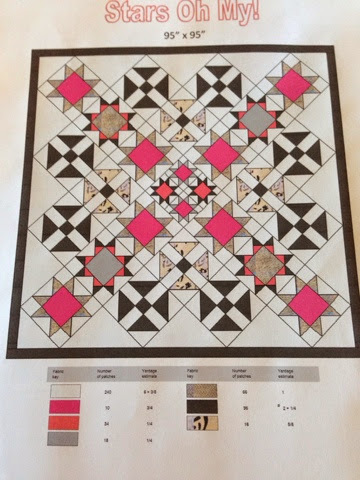 I have been working on a new quilt pattern that I made in EQ7! All the fabric for this quilt came from Joann's. 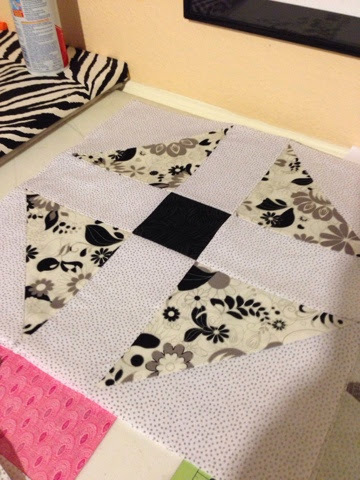 I know there will be quilters out there that will cringe at the thought but I am an equal opportunity quilter! I have a quilt that I started in the early 90's and finished a few years ago that is made from this type of fabric. I have washed it a lot and have never had any issues with it. If you look closely you can see that the whites don't match in some places. This quilt is very far from perfect but I really do love it! I have been in quilt stores where I have over heard the owner criticizing a new quilter for her fabric selection that came from a big box fabric store. It really made me angry. When you start out with any new hobby you usually start off with the cheapest material to test the waters and hone your skills. 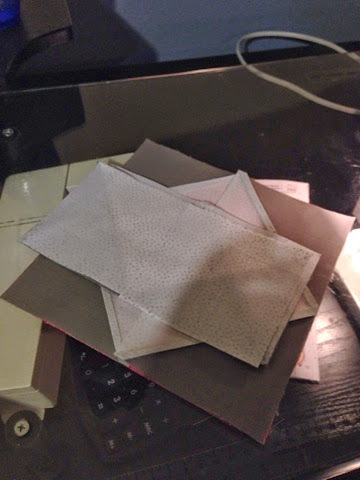 It really doesn't make sense to buy expensive fabric when you are not sure of the out come. 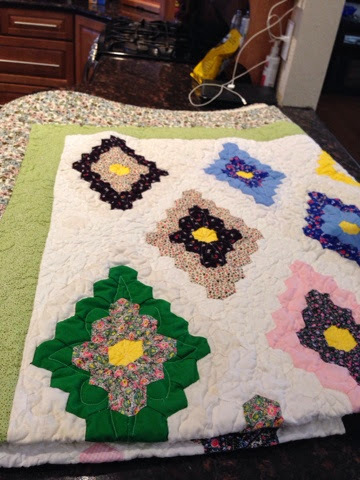 Most quilters from the old days used whatever fabric was available. My grandmother used polyester! I know! Yuck! But that is the kind of fabric that was available to her. I think you should use what you like. Be creative if money is tight. 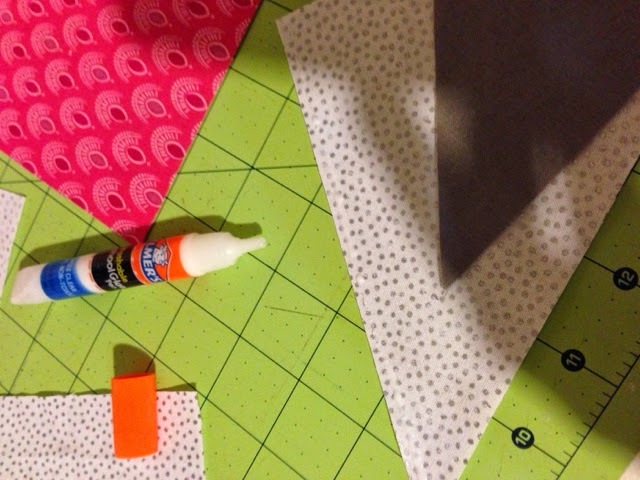 Don't discourage new quilters by giving them limitations. Not everything you make will be a show quilt or even a heirloom quilt. So if you want to critique my fabric choices then so be it! I don't always follow the crowd. I am a rebel like that! Ha! Back to the quilt I am making! I have decided to try a method of gluing my pieces with water solvable glue from a blog I read. Sorry I don't remember which one right at the moment. I use a very thin stripe of glue on the edge and iron the prices together. So far I like it. One of the benefits to this method is the back of the block stays string free for the most part. 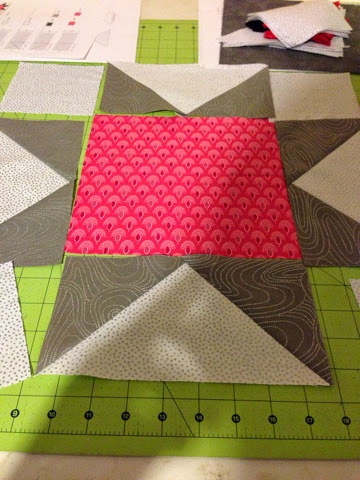 It also makes it easy to do several seams in a block at once. Hard to tell from the picture!